As new social innovation books seem to be popping up like mushrooms, we hope to help you choose where to focus on your limited time if you want to learn more about the fascinating phenomenon of social innovation. Social innovation is, essentially, ‘innovation that is social both in its ends and its means’. More and more policymakers, business people, NGOs, entrepreneurs and citizens are getting on the train of social innovation as a way to address and grand challenges of our times. 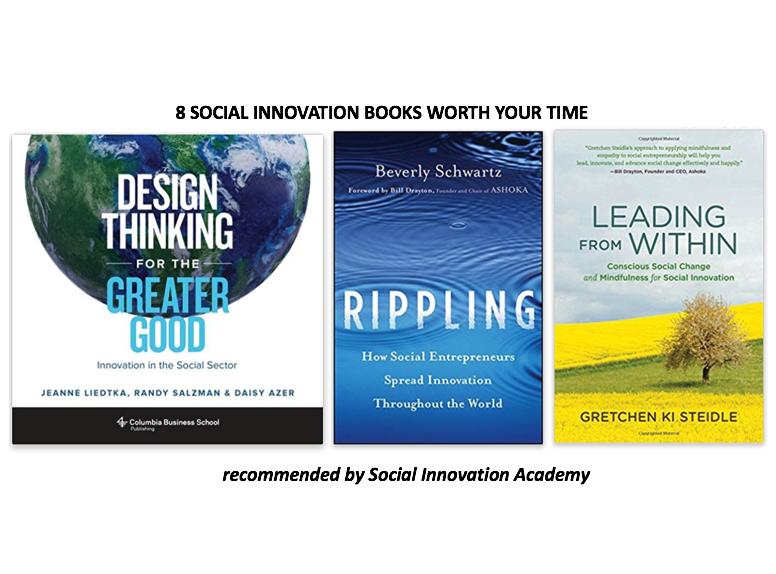 What are your thoughts on these social innovation books? Is anything missing? At Social Innovation Academy we believe in social innovation initiatives that can drive social change and improve the lives of millions. Still, social innovation practises are not yet mainstream in many sectors across the world. To tackle this issue, Limitless together with 4 other partners has recently started a project aiming to develop the Social Innovation Academy which will be the first fully online management training programme focusing exclusively on social innovation. Why Social Innovation Academy? Social Innovation has been increasingly perceived as the answer to the rising number of European societal challenges. While the European authorities, leading academics, policy experts, business people and activists agree that social innovation is the key to better future, it is extremely difficult for professionals to obtain high quality training on what social innovation offers and, more importantly, how it can be done in practice. Social Innovation Academy will aim to change this situation in Europe and beyond. If you are interested in keeping up with this project, you can subscribe to our newsletter, become one of our Friends, apply to become a member of our Global Advisory Board or follow us on social media (LinkedIn, Twitter and Facebook). We welcome all requests for collaboration here!